Heavy Weigh Forks, combining time proven durable design with the latest innovations in industrial weighing. High Accuracy Scale 0.1% of the applied load with a Class 2 capacity 2500kg x 0.5kg graduation. Class 3 capacity 5000kg x 1kg graduation. (other display resolutions available). Supplied calibrated and ready to use, power taken from the trucks battery as to maintain a single charging routine. The MT ID3 STX has three available power sources: the internal battery and an external battery. Fast update rates for filling make them ideal for use in process applications or for simple weighing. 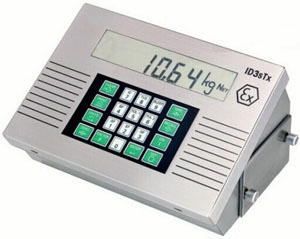 The ID3sTx terminal incorporates "smart" features as well, including ID, time and date fields that allow you to identify transactions or part numbers; a programmable sleep mode that extends battery life and reduces maintenance; and special calibration steps that eliminate the non-linear effects of certain load cells. 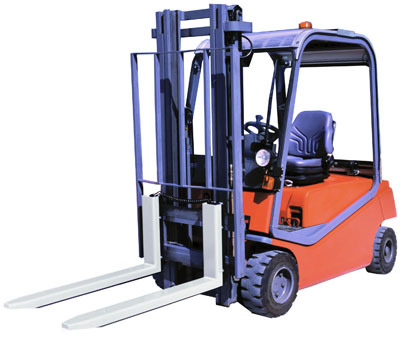 User friendly design places the indicator in easy reach for the operator with-out heavily Infringing on visibility.